How Gamification Will Dramatically Increase Your Word Count. Odds are good you use Facebook, Twitter or at the very least email, right? If so you’re familiar with the little red badges that signify notifications. If you’re like me your response is oooh, there’s something new to check! This happens most often on my smartphone, while standing in line at the grocery store, waiting for my soup in the microwave, or of course in the bathroom. I am compelled to check my phone all the damn time. Why is this? Each time you experience pleasure your brain places a marker which measures the circumstances leading up to that moment. If it detects these circumstances again it realizes ‘Hey, this felt good last time. It will probably feel good this time too’. It responds by flooding you with a chemical called dopamine. Dopamine doesn’t necessarily give you pleasure, but instead prompts you to engage in the behavior that led up to pleasure last time. In practical terms it works like this. You received an email from a girl or guy you were crushing hard on. That email told you they felt the same way, and in that moment you were on top of the world. Now whenever you think about email your brain fires off that dopamine and you’re compelled to check it. This is why you’ll constantly open your phone to see if there’s anything new on Facebook, Twitter or your social media drug of choice. Something good might happen, so here comes the dopamine. Large game companies figured out how to trigger dopamine rushes and used these principles to create mass-multiplayer games like World of Warcraft. Players will spend 8-12 hours a day clicking away in a virtual world, because the game has been engineered to trigger dopamine rushes. At first your character gains levels frequently, which is a pleasurable experience. As time goes on it takes longer and longer to gain a level, but players keep grinding away because their brains continue to release dopamine in a vain effort to recapture the pleasure they experienced. This is why MMOs are so addictive, and they’re not the only type of games to harness this technique. 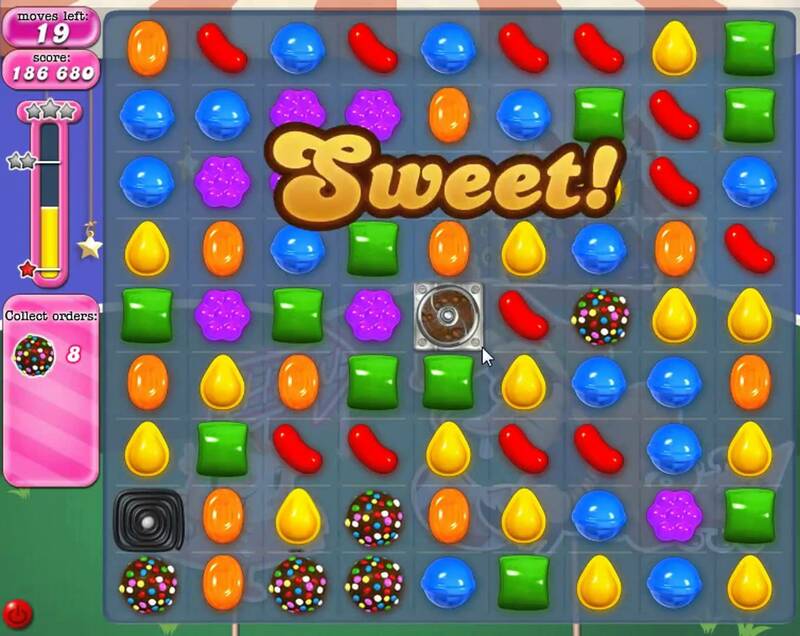 Are you familiar with Candy Crush? 2048? Angry birds? Every last one is using dopamine to keep you playing. Dopamine releases can be attached to positive behaviors. We’re now seeing apps like Fitbit gamify fitness, and they do it in two ways. First, they provide achievements for reaching milestones. Instead of getting that shiny new epic sword in World of Warcraft you get a badge for walking 10,000 steps in a single day. You get similar badges for losing weight or for climbing a certain amount of stairs, and before you know it your brain is rewarding you for positive behaviors. It certainly works on me. I haven’t played an MMO in years, but I log in to Fitbit every day to obsessively check my stats. Game and social media companies figured out another huge behavioral marker in humans. We’re inherently tribal, and are driven by a subconscious need to be significant in our tribe. In MMOs this meant being really good at raiding or killing other players in arenas. It meant having the best epic loot, or the coolest new mount. You gain significance by excelling in whatever way is measured by the shared activity. In social media it can mean getting the most likes or comments on your posts. In Fitbit this means dominating the leaderboard among your friends or your local area. This competitive principle will often get people to do things they’d never even consider, like sitting in front of a computer for twenty straight hours to be the first to unlock some cool new gear. Nuts, right? Using apps like Fitbit to encourage positive behavior made a lightbulb go on in my head. If it works for fitness, why wouldn’t it work for writing? Every writer I know wants to crank out more words daily. Most of us are highly competitive. What if you had an app that rewarded you for writing? What if hitting word goals or having a seven-day writing streak triggered the same rush of dopamine that checking Facebook does? I took a quick look around and found that no one had tapped into this. So I did it myself. That’s how I wrote the 5,000 Words Per Hour book, and why I developed the companion 5KWPH app. 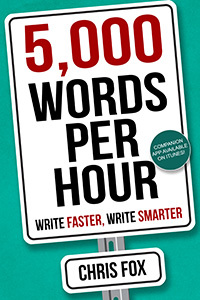 The 5,000 Words Per Hour book shows you how to conduct writing sprints. In essence it teaches you to eliminate distractions, so you can sit down and crank out massive word counts. It further explains gamification, flow and the neuroscience behind both. 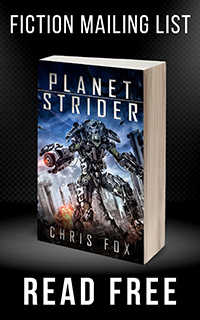 It’s designed to be a short read, a mere 15k words (about 120 pages). I took out all the fluff, all the personal anecdotes all the crap you often find in nonfiction books that’s either there for padding or to fluff the offers ego. What’s left is an actionable set of steps you can take to increase your daily and hourly word counts. The iPhone / iPad App- 5KWPH The app uses the principles taught by the book. It conducts these writing sprints, awards you achievements just like Fitbit or WOW, and allows you to post your progress to social media. In 5KWPS you have a tool to measure and track your progress, and it uses dopamine to motivate you to write like a machine. I wrote the book for you, but the app was created for me. I’ve been using it for some time and have cranked out three novels in the last nine months. I also wrote the 5,000 Words Per Hour book using the app. The app works solely as a timer / record keeping app to track words. You’d need to write somewhere else (like Word), but you can do that on a phone, Tablet, or computer. Whatever works for you. I’m not planning on releasing an Android version in the short term, only because I don’t know how to be honest. I’ve been an iOS developer for five years. I’m hoping to find an Android developer in the near future that I can partner with. Just finished “No such thing as Werewolves” – I found it enjoyable and look forward to your next book becoming available on audible. Thanks, Suzanne! I’ve had several ADHD users who’ve successfully raised their Words Per Hour, so I think I’m on the right track. The book and app will be in stores on June 24th, but if you want to test the app before then let me know and I’ll add you to the beta. No Mere Zombie should be on Audible in the next couple weeks. Ryan finished recording on Saturday, and I’m proofing it right now. Can’t wait to see that one in the store! I’ll be looking for the book. Hope you can get the app to Android. Sounds awesome (both of them). Thanks, James! I’m hoping to find an Android developer to work with. If either the book or iOS book take off I’ll use the proceeds to hire someone to port it. For some reason, I can’t get the spreadsheet to work I downloaded from kindle version of the book. It could be that google sheets doesn’t open or convert xlsx files. Is there something I can do? Thanks! A writer friend of mine turned me on to your book. I bought it and it changed my life. I’ve quadrupled my productivity and I write every single day, no exceptions. And I’m having fun writing again! I’ve been using your sprint technique for a month now and I’ve written 48,000 new words, all while maintaining a full-time career and actually spending time with my wife and kids. I can’t thank you enough for sharing your approach. It’s changed everything about writing for me. That’s incredible! I’m thrilled to hear the system is working so well for you. The 2nd book is coming out October 15th. It’s called Lifelong Writing Habit, and is very much a companion to the first book. Anyway, thanks for sharing this. You totally made my day. I bought Lifelong Writing Habit the moment I saw it was available. Loved it. 🙂 I’m now three months into sprinting and I’ve written almost 140k words. I published a short story last month, I have a novella coming out next month and I’m almost finished with another new novel. All written with sprints. That doesn’t include all the stalled manuscripts that I was able to finish, all because of sprints. Three months in and no signs of stopping. I feel like I’ve finally created the lifelong writing habit. Again, I can’t thank you enough. Your approach absolutely kills it. It’s a game changer. Do you use dictation software? There is sentence in paragraph six where you use the expression “fluff the offers ego,” which I think should be “fluff the author’s ego.” Nearly a homonym and something dictation software might get wrong. But dictating 5000 words an hour is not nearly the same as actually writing 5000 high-quality words an hour. I do use dictation software, but this was typed. Nice catch on the typo. People often bring up quality versus quantity. Let me ask you this. When you wrote your best scene, did it flow? Did you just write, lost in the characters heads? Or did you agonize over every sentence, carefully choosing words? For me it was the latter, because my best scenes were written in flow state. Flow state has been studied extensively, and the neuroscience is sound. If you practice the fundamentals of something at speed, from baseball to writing, then eventually those mechanics fade into the background. You can enter flow state on command, which allows you to produce your best work while still writing quickly. It should never be a choice between fast or good. It should should be fast AND good. I’ve written a quarter million words since I’ve been sprinting these past six months. They’re my best words yet. The faster I write, the more I write, the better I write. I pay an editor to catch typos. In the end, I’d rather tell more stories than fewer stories. Writing quickly and consistently allows that. But I suppose the “speed negates quality” argument is one of those myths that will forever persist. Me? I’m over it. Thanks for the kind words, Tiffany. I’d say good luck finishing your book, but I suspect you don’t need it. I’d love to hear how it goes! I bought your book last year but made a mental commitment to start writing this week. I’ve set a goal to master my craft AND consistently write 10,000 words per day by 2025. I’m 58 and decided that writing will be my 2nd career. I’ve published 1 article and want to publish 10-12/year starting next year. I’m expanding my topic set starting with professional topics and moving into food, travel, as well as social issues. I’m reading everything I can get my hands on about writing, style, structure, etc. Taking courses. Reading about copywriting AND eliminating expenses. It’s been two weeks since you posted this. How is the writing going? Do you feel like you’ve learned anything new? I’m about halfway through the book “Getting Things Done”. Making notes and highlighting as I go. I’ve written 2 articles and outlined a book. Not bad seeing how my day job is keeping me working 70 hours/week + 7 hrs of commute time. I bought Dragon software but haven’t installed it yet. Have a speaking engagement booked for Noember and writing test questions in Chicago 2nd week of March. Is it still possible to get the app on iPhone, or even to get the spreadsheet? I bought the audio of your book on Audible and I’m having no success finding the app in the store, and I’m not seeing the spreadsheet on your site at all. Thanks so much, I loved the book & am at 3100 words per hour my first day doing 5 min microsprints and I’m looking forward to seeing how fast I can get with your advice! Hey Chris, any plans on updating the app to 64-bit and re-releasing? I know you’ve got a lot on your plate with writing and content production for YouTube, but I bet you could hire someone to recompile the app in 64-bit and re-release to sell plenty of copies to those of us who missed it in the original run for about the cost of a book cover. You don’t need to add optimization for iPad Pro, iPhone X, 3D-touch, or any other hot new features, just have someone do the bare minimum to have it appear in the app store again so we can buy it. I know I’d pay $5 to get the tracking and achievements over just using a spreadsheet. You’ve already got a lot of materials that link directly toward it, why not get a rookie iOS developer to recompile for 64-bit and rerelease?